Lately, I’ve been listening to podcasts and I’ve been absolutely loving it. I started because I noticed that I haven’t had the time to actually sit down and read, but I missed that feeling of me learning for fun. I’m glad that I was able to reclaim this feeling by listening through podcasts. 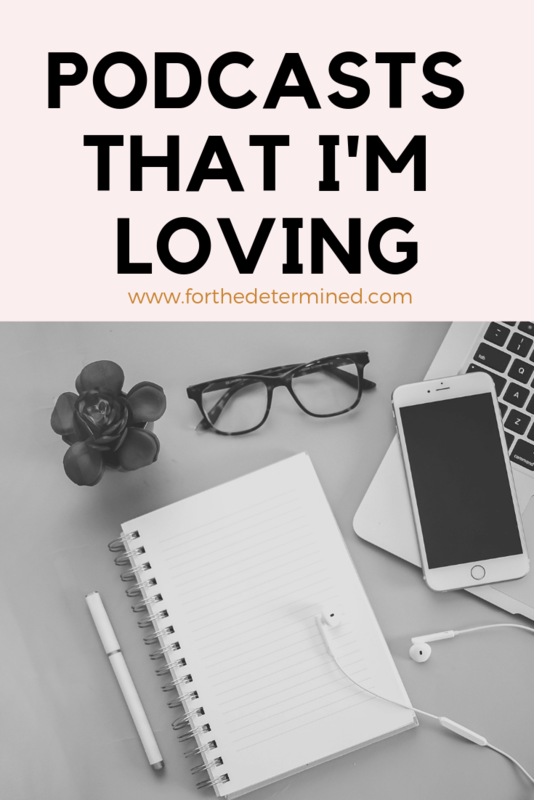 Today, I’m sharing my favorites with you. I love this one because it not only gives practical advice for premed students, but it gives us a chance to hear something other than the typical success stories. Dr. Tate (a recent graduate of Harvard Medical School) does a great job of making sure that listeners understand that everyone struggles to some degree, what matters is how you overcome those obstacles. At the end of each episode, guests read a letter that they wrote to their premed selves. 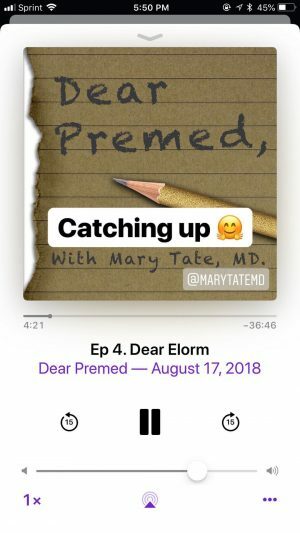 I feel so inspired and capable after listening to this podcast, so if you’re premed, definitely give it a listen. This one is hosted by Alex Elle (author, self-care advocate) and it focuses on all kinds of self-care. I think in the age of social media people think self-care is limited to face masks, bubble baths, and spending money just because. I normally listen to this podcast when I need a peace of mind. Alex does a great job of choosing diverse people to interview; there really is something for everyone. I found this one as I was scrolling through Twitter. It’s definitely not meant to take the place of actual therapy, but I still find it to be helpful. Dr. Joy Harden-Bradford (a licensed Psychologist) interviews guests who are also mental health professionals to discuss a wide range of topics. 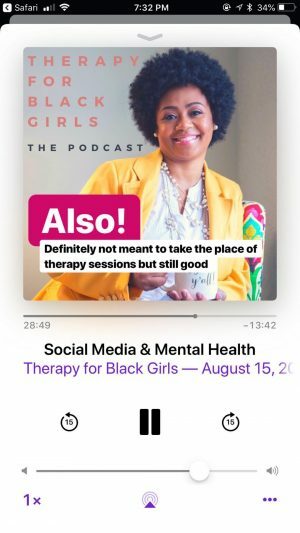 Social Media and Mental Health– this one was truly right on time. 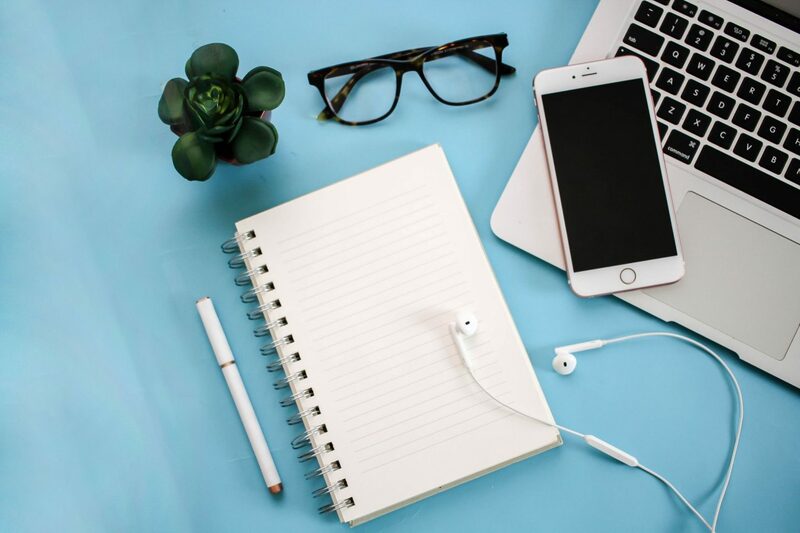 Normally, I listen to these podcasts when I’m busy doing something else– homework, laundry (the devil’s chore), or blogging. You can access them using the podcasts app on your iPhone or this app called Podbean.